It’s been no secret that the music industry has been struggling over the past couple decades. After years of spiraling album sales, the industry hit a new low in 2016, with just over 100 million units sold — a nearly 14 percent decrease from the previous year, reflecting declines in both physical and digital album sales. That’s not the whole story, of course. The music industry’s sluggish sales gave way to music streaming, which overtook physical music in terms of revenue last year. With streaming music’s revenues skyrocketing to $6.6 billion — representing growth of 41 percent — the music industry has championed streaming as its new golden goose. This is a good change — the music industry lost billions by fighting the shift to streaming. By focusing on CDs and digital downloads, never mind the fact that CDs saw an 84 percent decline in sales over a decade, the industry found itself “fighting over pennies while waving goodbye to dollars,” as The New York Times pointed out. This sea change of embracing the technology the music industry once feared hasn’t necessarily paid off for musicians, however. Music manager Troy Carter told TechCrunch that labels are hoarding the royalties earned through streaming, keeping more than 70 percent of the fees. The contracts musicians sign with labels are intended to drive revenue for the record labels, not the artists themselves. The common refrain is that for every 20 artists signed to a label, only one is successful — with that math, it makes sense that labels hedge their bets to fund all 20. Carter believes, however, that streaming payouts could approach CDs’ revenue heyday as more users sign up. Platforms like Repost are making the same bet. The platform, designed to help musicians make a living through their online audiences, works with artists and their teams to monetize their music distribution and promote their work. Mason says that for artists, this problem is compounded by the fact that there’s no seamless way to collect all of their earnings. They’d have to work with multiple entities — performing rights organizations, publishers, labels, distributors — to collect every cent they’ve entitled to. This forces artists to spend more time developing business skills than creating new music. When Mason and his co-founder, CEO Jeff Ponchick, built Repost, they aimed to eliminate as many of the distractions for artists as they could. They recognized that most of the artists they spoke to struggled primarily in terms of exposure — they hit a wall as independent musicians and needed help getting to the next step. These independent musicians then faced a laundry list of tasks: optimize music on every platform; earn press write-ups; find promotional outlets; collect checks from SoundCloud, YouTube, etc. Seeing how confusing and draining this was for artists, Repost built itself as a one-stop shop for doing everything. By eliminating multiple distribution and payment touchpoints, the platform also removed the burden of dealing with a variety of infrastructures, accounting practices, and more. Chance the Rapper is one well-known indie artist who’s avoided the dreaded “sellout” label and made a successful go of it. While his success is considered a “fairytale” within the industry, Repost’s team aims to make independent success attainable. It started its quest with an algorithm. Artists apply to join Repost’s platform with their SoundCloud IDs; the platform’s algorithm combs the artist’s channel, assessing her average play count per upload, follower count, and biggest and smallest track to determine her likelihood of making money through the platform. This data-driven approach has resulted in 100,000 rejected applications and 5,000 acceptances. But it enables Repost to put its focus and efforts behind the artists who are best positioned to benefit from its hands-on bevy of services, ensuring it doesn’t spread itself too thin or do what many in the music industry have done: sold a bill of goods to artists. Repost has recognized one thing many — other than artists — have failed to see: It’s inherently difficult to manage the varied tech infrastructures presented by SoundCloud, Spotify, YouTube, and others. And that remains true whether an artist is independent or well-established, selling out arenas. Unfortunately, Mason says, most distributors take the one-size-fits-all approach, meaning artists’ revenue generation can’t be maximized. Repost has sidestepped that issue by building deep technical integrations with the platforms artists value most, with an emphasis on marketing, monetization, and content protection. And it’s worked: Repost’s client base has been driven through word of mouth, and it’s currently paying tens of millions of dollars to artists annually. For example, Repost does fingerprinting through YouTube to drive revenue back to artists. 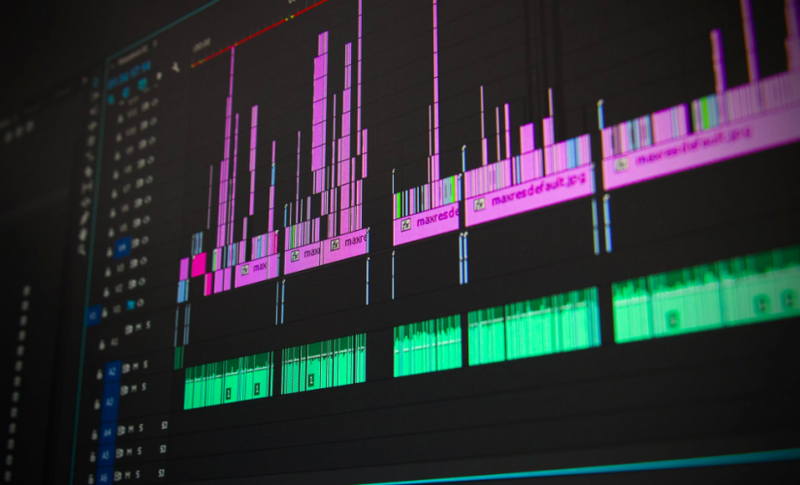 Repost aggregates, packages, and delivers sound recording rights information to YouTube at scale for thousands of artists; using this data, YouTube utilizes audio fingerprinting to find videos on its platform that match the provided sound recording. When a match has been found, the YouTube video is “claimed” on behalf of the artist. Any advertisement or subscription revenues generated by the video are then sent back to the artist through Repost. Repost sees itself as a tech company in music, not a music company in tech. Because its business model is built around working with thousands, not hundreds, of artists, it’s invested heavily in automation. That’s enabled it to operate on a revenue-share model, not an ownership model. “This is better for creators, which is why so many artists are choosing to go independent rather than work with labels,” Mason says. While the music industry has been struggling for years, technology is on track to put an end to that. With companies like Repost applying automation and technology to the many hoops the industry has erected over the years, they’re putting music on a path to become as streamlined as businesses in other industries. And that’s exactly what music needs.